Are you getting ready for a new school year? Looking for some fun resources to help your child(ren) learn about the American Revolution and the United States Constitution? I have the perfect books for you!! 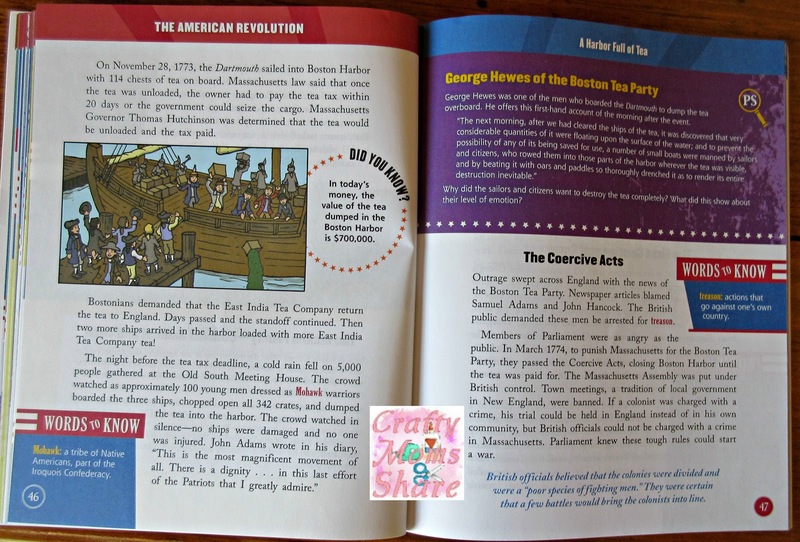 First we will look at the book about the forming of the United States--The American Revolution: Experience the Battle for Independence by Judy Dodge Cummings and illustrated by Tom Casteel. 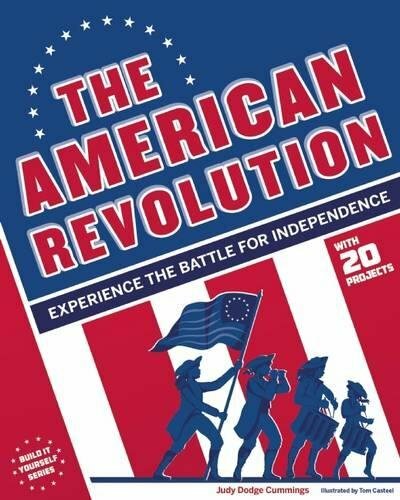 Now this book covers it all about the American Revolution and how the United States became a country. It covers things like why the colonists wanted to fight and who shot first. Through out the book there are blocks with words to know and their definitions, did you knows and quotes from actual people there. Then there are the projects. In the introduction it is suggested to start a historical detective journal and then at the end of each chapter there are suggestions for entries in it. 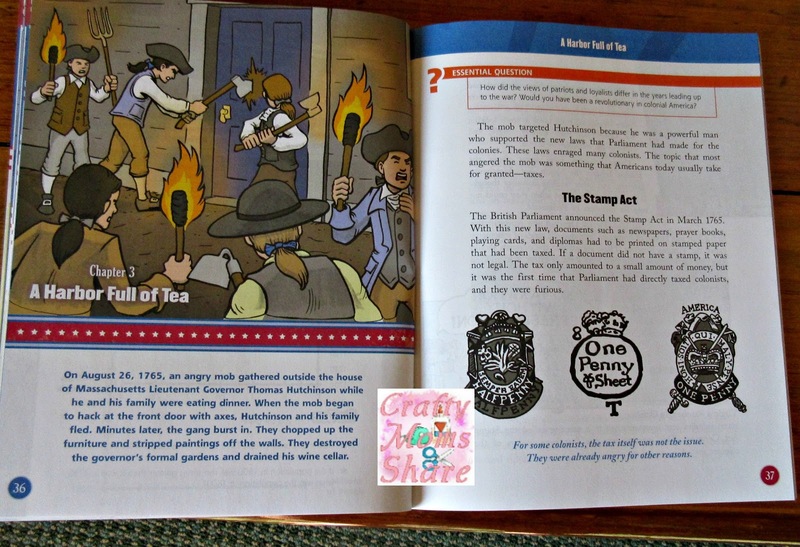 Plus there are activities to help get students/readers thinking about what happened in the chapter and to experience bits of it. There are a free teacher activity from the book and a classroom guide available at Nomad Press. 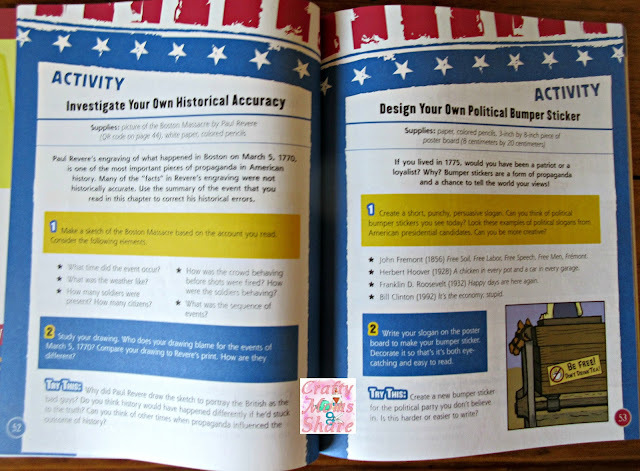 The ideas in this book and the information are engaging and make the learning fun and interesting. The illustrations are colorful and meaningful as well. 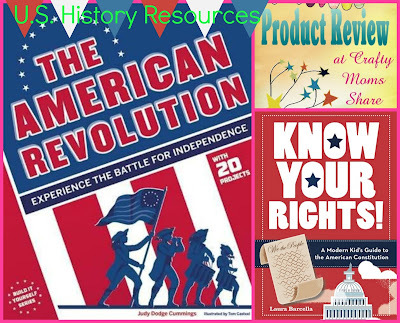 It is such a great resource for any class that studies the American Revolution. 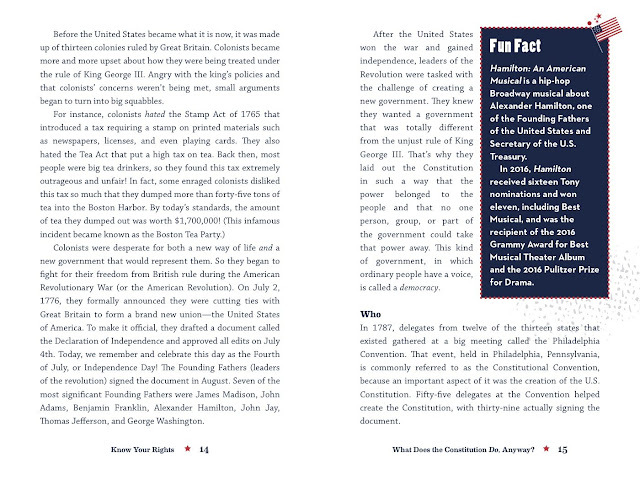 The book goes from Colonial times to the writing of the Constitution and a bit more of the history. This book is suggested for ages 9 to 12. I hope you will check out this amazing book. Also check out our review of another book having to do with the American Revolution. 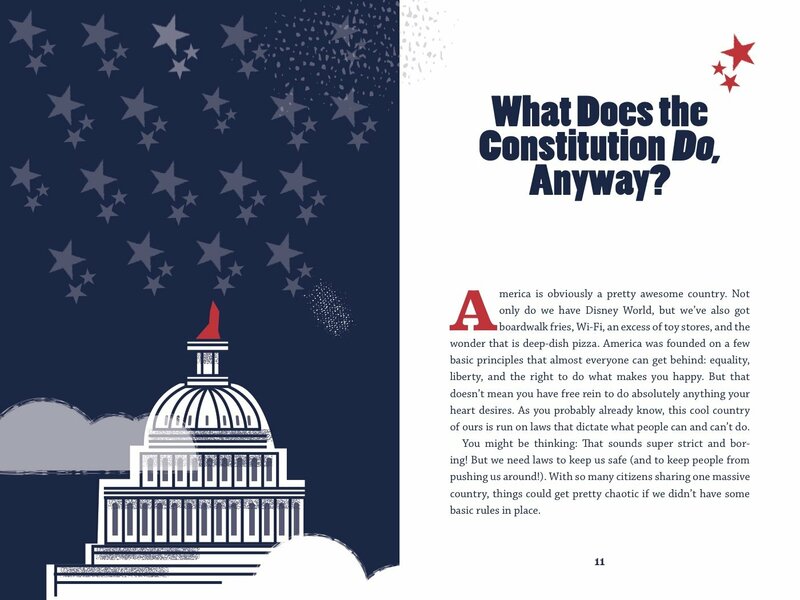 Our next book is about the American Constitution. It is Know Your Rights! A Modern Kid's Guide to the American Constitution by Laura Barcella. 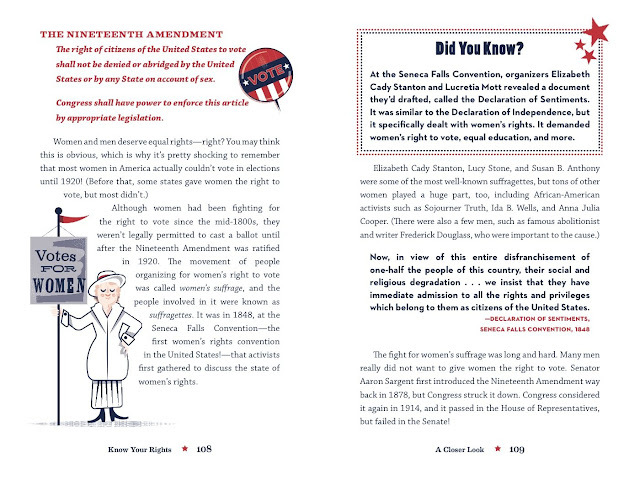 This book explains the Constitution: what it is, how it came to be and how it can be changed. It goes through explanations of every article and amendment as well. The writing in this book is entertaining and the information is very complete. I really enjoyed reading it and learned quite a bit more than I knew about our country's laws. Throughout the book there are fun facts that share all sorts of information having to do with the explanations of the Constitution as well as did you knows that share a bit of the history and more. This book covers it all. It is a must read for every student studying the U.S. Governement and laws. It is entertaining and it covers it all. 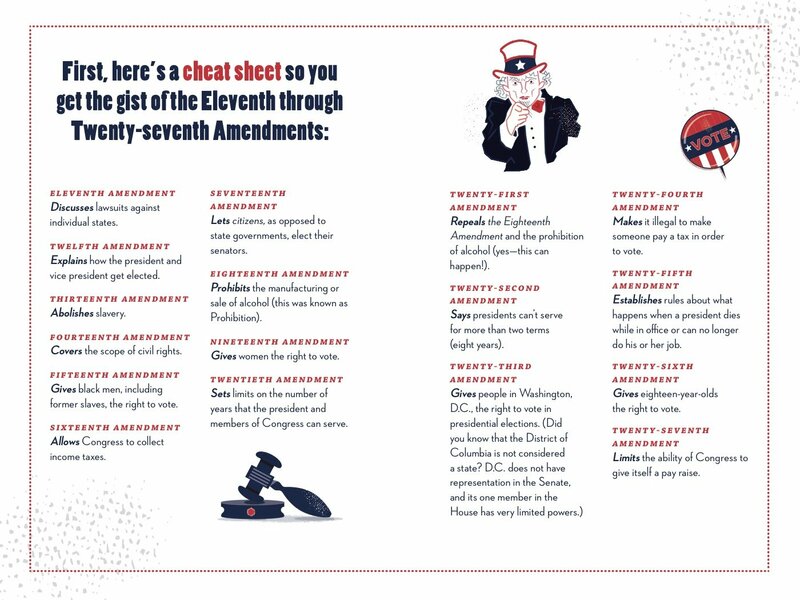 It even includes the history around some of the Amendments like the nineteenth and the eighteenth. The book is recommended for ages 8 to 12. 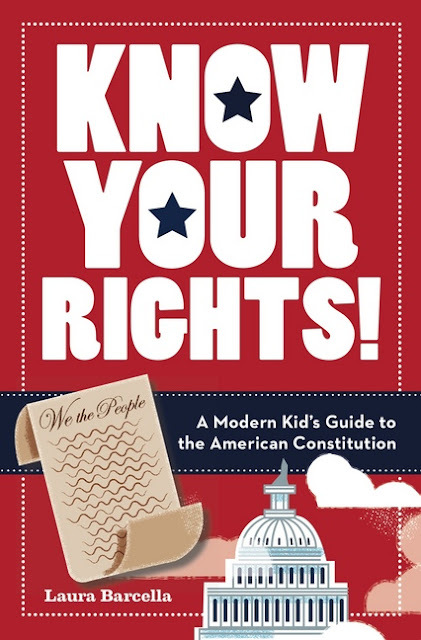 It is the perfect addition to any classroom or homeschool. It is so important that we all understand our laws and the reasons for them. I hope you will check it out.